Every handyman already knows impact wrenches are one of the best tools out there. Simple fixes, like refitting car wheels, can be greatly sped up by using impact wrenches. They’re also extremely helpful when it comes to getting at hard to reach places. Cordless versions allow for greater mobility and you don’t have to worry about getting tripped up or tangled in a pesky wire. There are so many wrenches on the market is hard to know where, to start, don’t worry though as I’ve done the hard work for you. It’s been quite a journey over the last few years so you’ll find there’s a mix between some of best over the last 3 years with a few new inclusions for 2019. 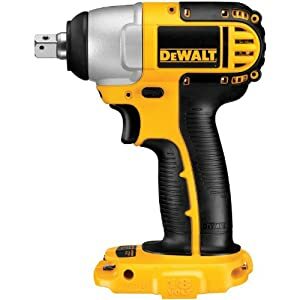 So what is the best cordless impact wrench? 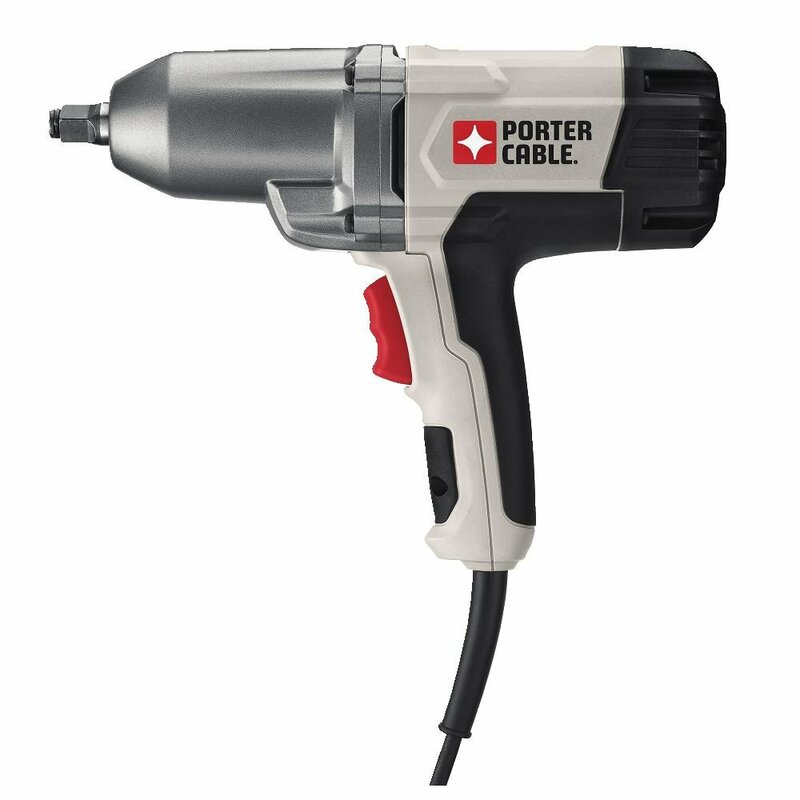 Below you’ll find the best cordless impact wrench for your needs, so get reading. Anti-slip Grip: The DC820B’s anti-slip grip allows you to keep a hold of the wrench on even the toughest projects. It is also incredibly comfortable, which is nice when you work with your hands a lot. 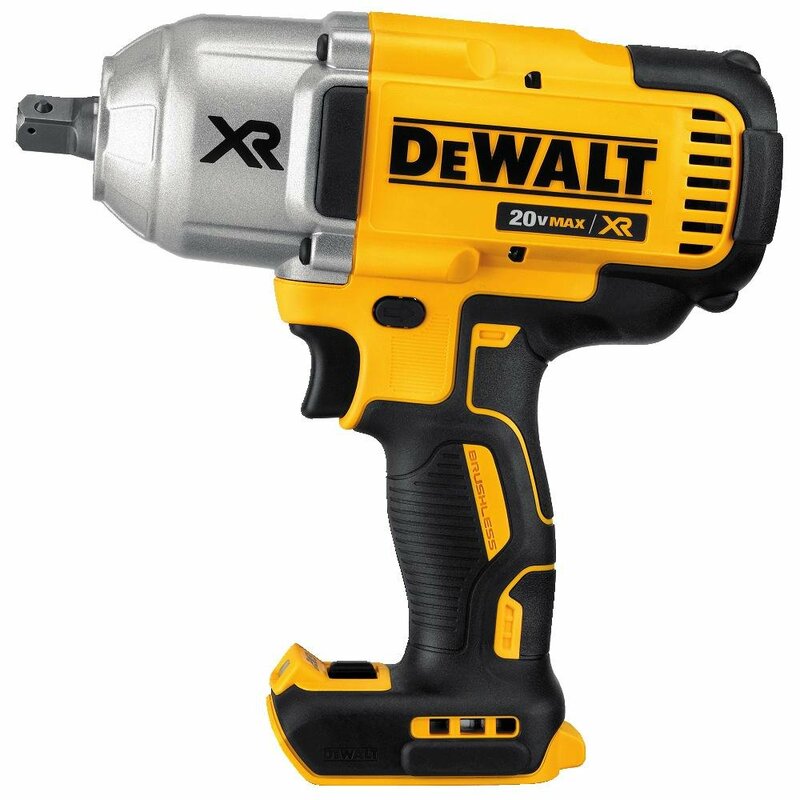 High Performance: This DEWALT impact wrench has 1,740 inch-pounds of torque and 2,400 RPM. This makes fastening a breeze. Compact: It is not a big and clunky wrench like some others I have tried. It weighs a measly 2.2 pounds and is less than 6 inches long. This makes it extremely easy to fit in tight spaces and does not wear out your wrists. The brushes are replaceable, so if one craps out you don’t have to buy a whole new wrench, it is easily replaced. It also has a metal transmission that maximizes this wrenches lifetime. The Ingersoll-Rand 231C was introduced over 25 years ago and since then it’s constantly been worked on and improved to the model we have here today. No job is too tough for this tool, it provides amazing power and performance to take on the hardest of jobs with ease. Let’s not forget the proven durability and economy. Easy Operation: The 231C features a patented one-hand forward/reverse feature, making it super easy to operate. Pressure-Feed Lubrication: The pressure-feed lubrication ensures the wrench is always working at peak performance and makes it even easier to control. Contoured Handle: The contoured handle, along with its compact design, minimizes stress on the wrist and hand and maximizes comfort, making this wrench great for all day use. This is a great tool. It’s a great size, from anvil to back, 11 1/4 ” total length from the end of the attachment nut to the back of impact. Cast Metal Gear Housing: The unique cast metal gear housing dissipates heat that is created. 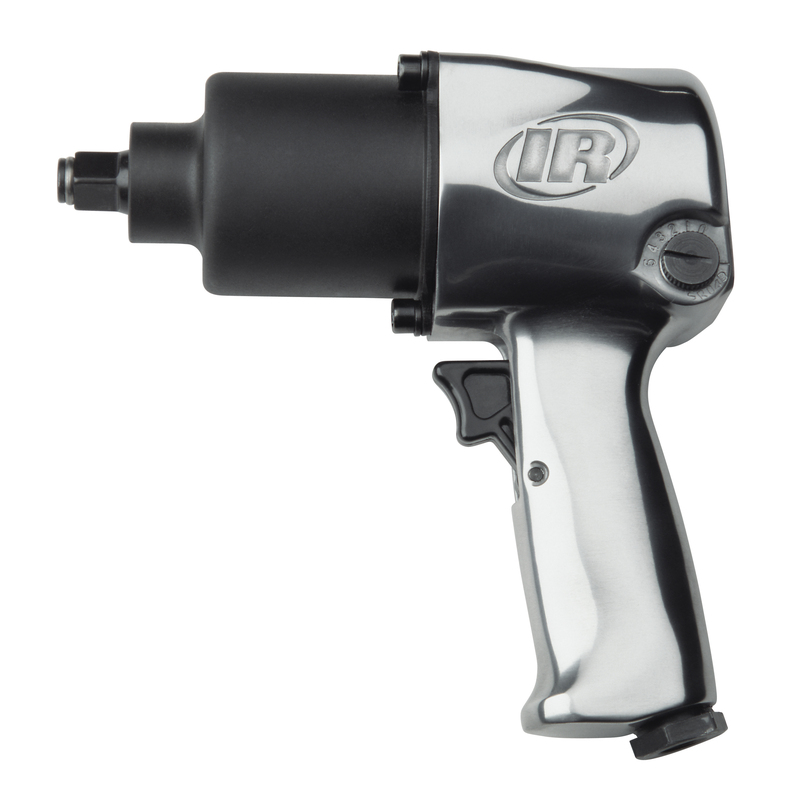 This improves the durability and ultimately gives the wrench a longer lifespan. Reversible: A must-have for a great wrench, the PCE210 can work both forwards and backward, making it great for tightening and loosening. Comfortable: The PCE210 has a really comfortable handle, which makes it easy to hold and use for as many jobs as you need. Does not need batteries since it has an AC power source. 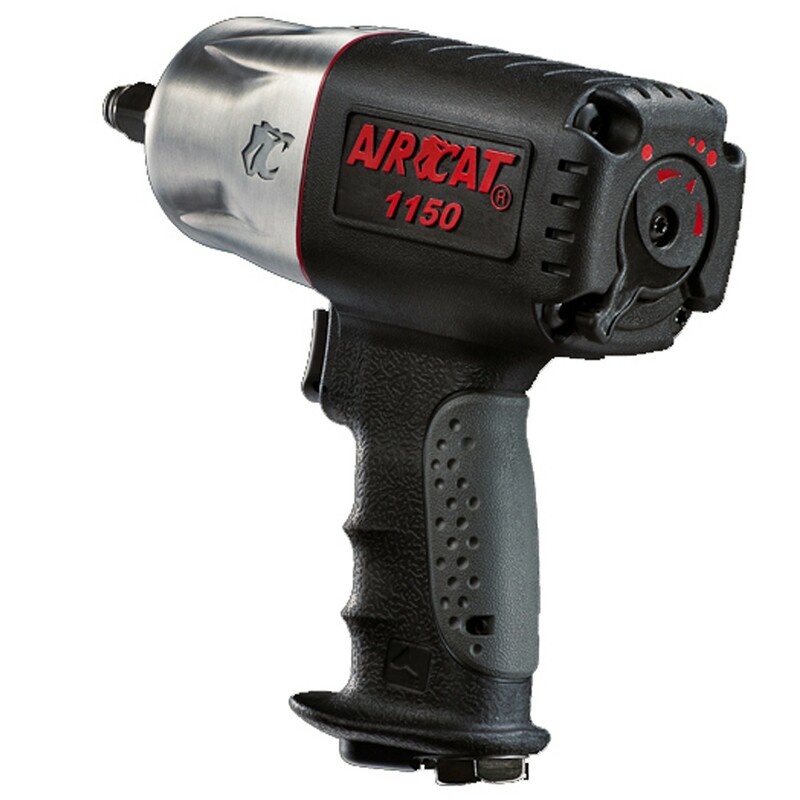 Quiet: One of the quietest impact wrenches on the market, the AIRCAT 1150 produces only 85 decibels. 85 decibels is about the noise level of city traffic when sitting inside a car. At such a low level, it takes hours and hours of continued exposure to experience any kind of pain or damage. Large Rotor: This wrench has a 15% larger rotor than other models, providing top performance all day long. High Performance: The AIRCAT 1150 provides a whopping unmatched 1,295 feet pounds of torque and 1,400 blows per minute. This is definitely one of the best performing wrenches I tried. You have to make sure to keep this wrench lubed to keep it performing perfectly. This is pretty typical of wrenches however and is not a huge inconvenience. LED Light: The LED Light on this wrench allows you to work in dimly lit areas with ease. It is very bright, and I’ve found, very helpful to make sure you’re working where you want. The light also means you have to carry one less tool with you on a job, a flashlight. 3-Speeds: The DCF899B’s 3-speeds allows a wide range of options and allows you to choose the perfect setting for whatever job you’re working on. Battery Fuel Gauge: This incredibly helpful tool lets you keep an eye on how much battery you have left so you know when you need to recharge it before it completely dies. There’s nothing worse than starting work on a job and having your wrench die.